We've selected four of our favourites for this 14-night tropical treat. As well as including must-do excursions on each island in the cost of your holiday, we chosen highly sought-after hotels in dreamy beach locations. You want to make your visit to the Islands of Hawaii a truly unforgettable experience. Secluded tropical beaches fringed with swaying palms trees are the order of the day on any holiday to the islands of Hawaii, but these Polynesian islands have so much more to offer. Each has a unique personality and charm - plus the most genuine people you'll ever meet. Oahu, home to world-famous Waikiki Beach, is the most culturally diverse with glimpses back in time at Pearl Harbour and Iolani Palace, the only Royal palace on US soil. 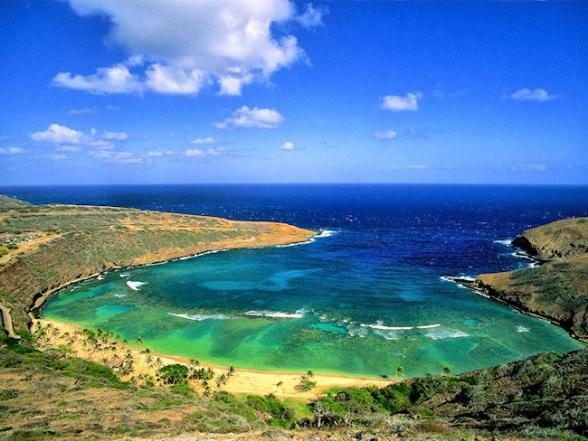 Hawai'i Island, commonly known as Big Island, is the most geographically diverse. 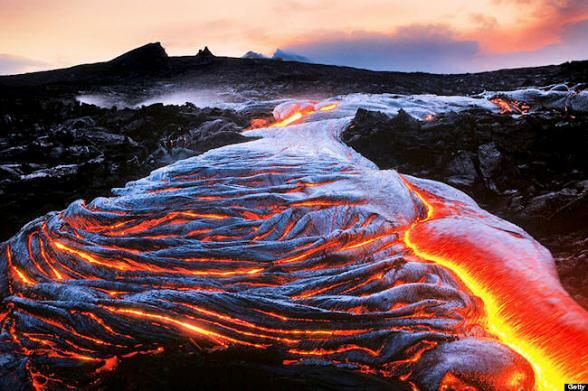 Volcano National Park is home to two of the world's most active volcanoes. 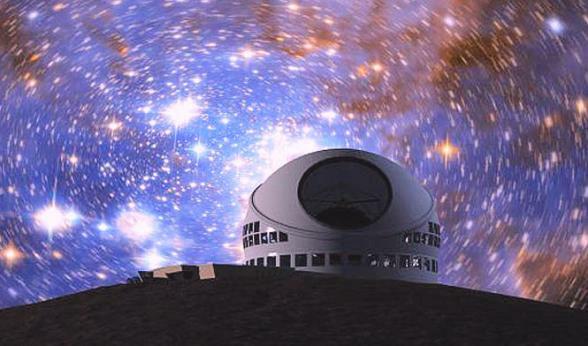 Mauna Kea, the highest point in the Pacific, offers some of the the best stargazing on earth. We've lost count of the number of times the island of Maui has been voted number one island in the world. This idyllic oasis offers scenic coastal drives, world-class snorkelling, whale-watching and sleepy Hawaiian villages. Kauai, the oldest of the main islands with its soaring cliffs, emerald valleys and cascading waterfalls will truly enchant you. 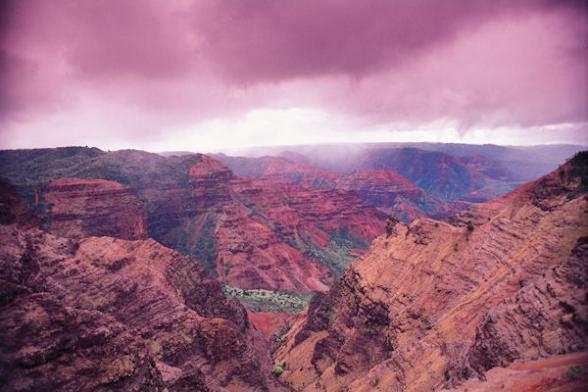 Nicknamed The Garden Isle, this tiny gem is home to Waimea Canyon which Mark Twain referred to as The Grand Canyon of the Pacific. All Bon Voyage holidays are totally tailor-made, please call our team of experts to discuss your ideal Hawaiian holiday on (0800) 316 3012, or send us an email to hawaii@bon-voyage.co.uk. Other durations/hotels/excursions are available. 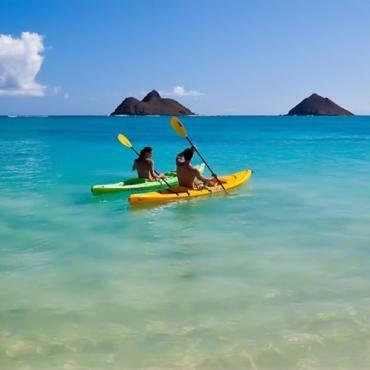 Please call the team of USA experts at Bon Voyage to discuss your tailor-made holiday to Hawaii. 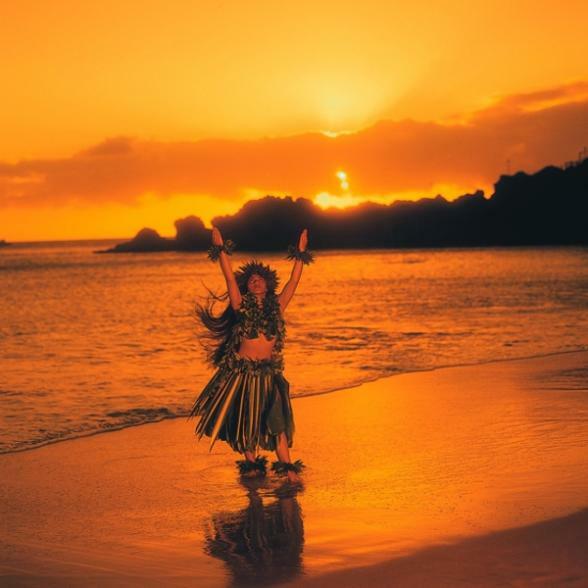 Arrive into Kahului Airport, Maui early evening and enjoy a traditional Hawaiian lei greeting before transferring to your Maui hotel for four nights. As you journey along the rugged coast, you'll feel the tropical breeze as you gaze out over the Pacific Ocean. Welcome to paradise! Relax and enjoy your surroundings on Kaanapali Beach. Immerse yourself in Hawaiian culture with lei-making, hula, surfing or ukulele lessons. 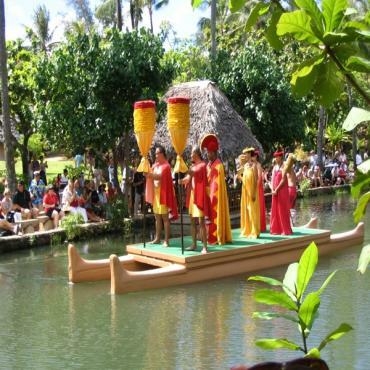 Learn about the fascinating history of Hawaii and the language. Did you realise the Hawaiian alphabet only has 12 letters? In the evening, pop into one of the candlelit beachfront restaurants on Kaanapali Beach for a sunset cocktail and a slice of hula pie. 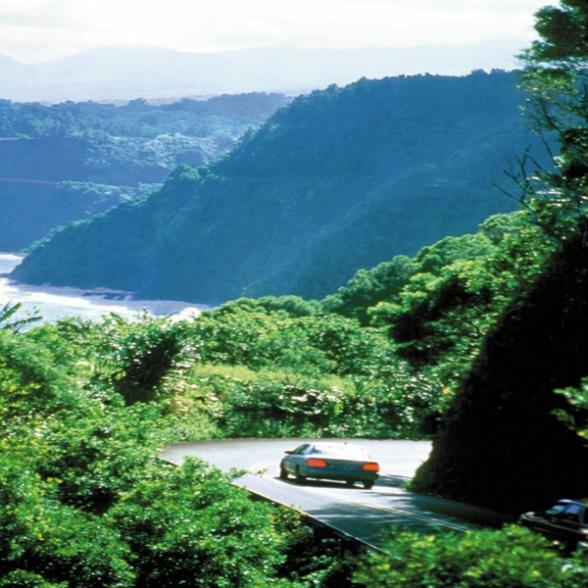 There's a treat in store for you today as you experience one of the most scenic drives on earth on a guided tour of The Road to Hana. Sixty-eight miles of twists and turns take you through lush rain forest and tropical splendour galore. Hugging the magnificent Maui coastline, the vantage points are incredible and highlights include Kaumahina State Park, Keanae Valley Lookout and Wailua Falls. 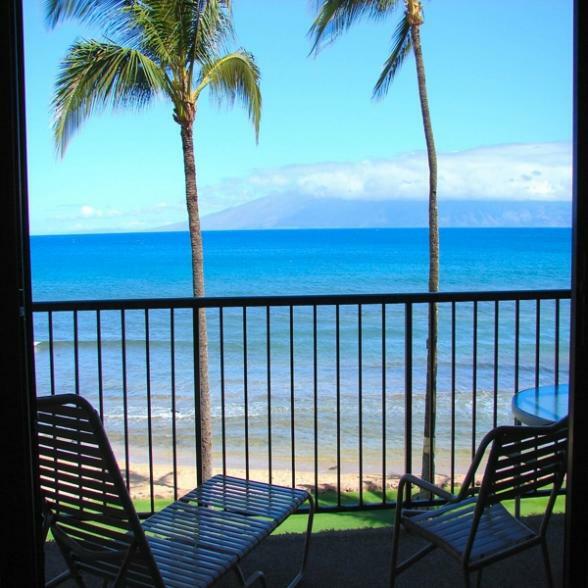 You'll arrive back at Kaanapali Beach early evening. 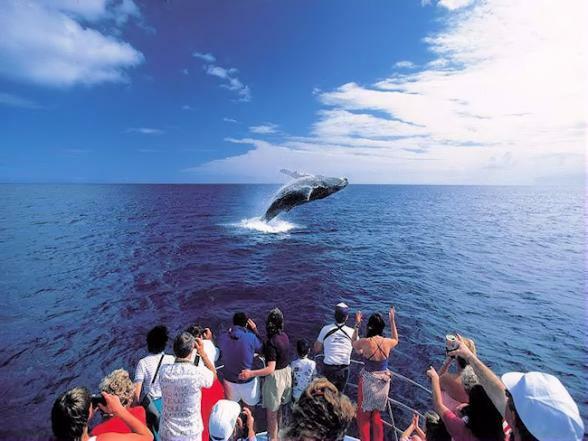 Spend your last day on The Magic Isle mooching the historic whaling-town of Lahaina, the capital of the Kingdom Of Hawaii from 1820 to 1845. Today, Lahaina is full of unique shops and restaurants. You can also take a short ferry ride to the neighbouring island of Lanai which was the world's largest pineapple plantation owned by the Dole family. 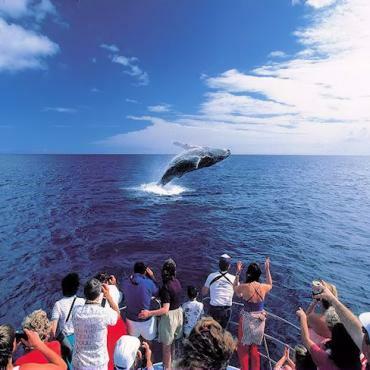 If you happen to be in Maui between December - April, this is whale-watching season and we'll suggest the perfect excursion for you. Other pre-bookable excursions are available on Maui such as snorkelling at Molokini Crater and sunrise at Haleakala Volcano. Depart on a mid-morning flight from Maui to the tiny island of Kauai. Your flight is very much a part of the day's adventure as you catch sight of the emerald valleys and soaring cliff faces arriving in to Kauai. This largely undeveloped Hawaiian island is often referred to as The Garden Isle because of its colourful flora and endless lush rainforests. The north of the island is actually one of the wettest places on earth, but don't worry, your base will be in the sunny south on the golden sands of Poipu Beach. 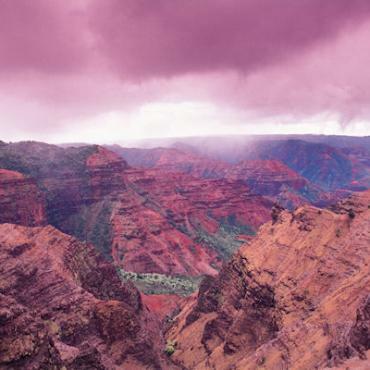 At ten miles long and a mile wide, Mark Twain dubbed the Waimea Canyon, The Grand Canyon of the Pacific. On your guided tour, marvel at this vast chasm before a leisurely float along the Wailua River to Fern Grotto. Accessible only by boat, this lava rock grotto is adorned with large hanging ferns cooled by the mists of the waterfall. If you're of a certain age you'll recognise this area from the movie, Blue Hawaii, where Elvis sang The Hawaiian Wedding Song. You'll return to your hotel early evening allowing you time to visit one of the small restaurants and live Hawaiian entertainment in Poipu Village. Relax on Poipu Beach and watch the surfers at play. The day is yours to do as little or as much as you like. 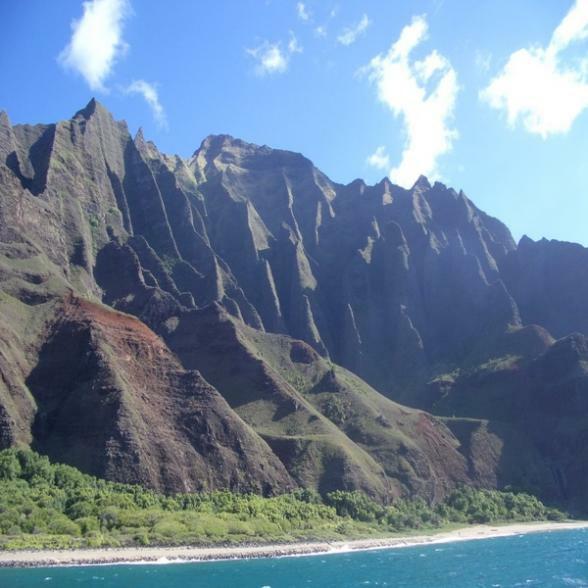 If you're feeling adventurous, consider a day trip to the stunning Napali Coast. Hawaii's premier snorkelling location offers colourful and varied marine life by gentle catamaran cruise. 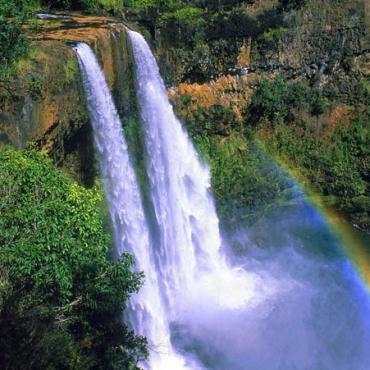 With the backdrop of jagged cliffs and enchanting waterfalls, this remote area of Kauai is not one every visitor sees. It's a short and super scenic flight to Hawaii Island. To avoid confusion between this island and the entire state of Hawaii (the whole group of islands) Hawaii Island is commonly referred to as Big Island as it is nearly double the size of the rest of the islands combined! The first thing you'll notice is the dramatic landscape which feels pre-historic. Martian-like lava deserts, emerald rainforests, simmering calderas, black-sand beaches and snow capped mountains will surely impress you. The harbour town of Hilo, on the east side of the island, is your base for three nights. Enjoy the lively waterfront, galleries and museums of this friendly community which has thrived on fishing, farming and the sugar industry. 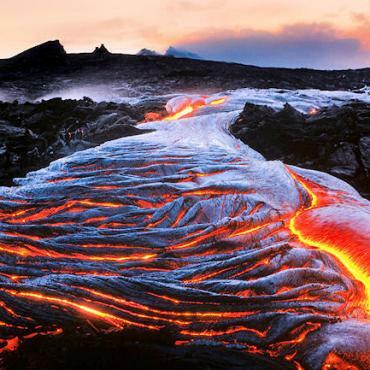 Volcanoes National Park is likely to be one of the most extraordinary places you'll ever visit. Your guided tour includes Kīlauea, one of the world's most active volcanoes and Mauna Loa, the world's most massive subaerial volcano. You'll also have time to visit Jagger Museum, Thurston Lava Tube and Kilauea Iki Crater before hiking over the lava flows that covered the small town of Kalapana. 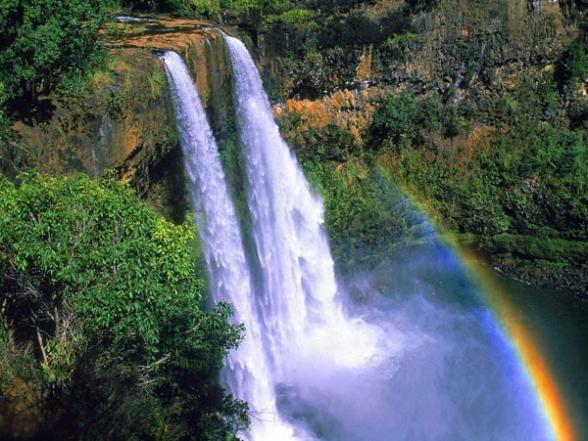 The tour also includes a visit to Rainbow Falls in Wailuku River State Park. This 80 foot tall and 100 foot wide waterfall flows over a natural lava cave into a large freshwater pool - in a word....INCREDIBLE! Enjoy a leisurely day strolling along the waterfront, lazing by the the pool or visiting a garden nursery filled with tropical flowers. Alternatively, consider a trip to the summit of Mauna Kea. Rising 32,000 foot from the sea floor, this is the highest island mountain on earth. 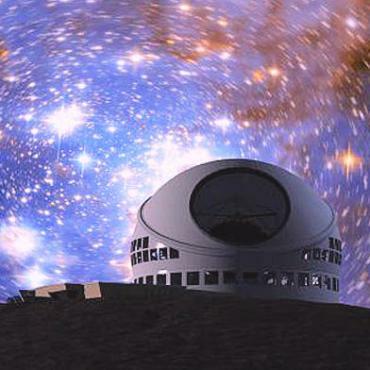 At its peak are the world's largest telescopes and due to the atmospheric clarity some of the best stargazing opportunities in the entire world. Guided trips depart early evening and cold-weather attire is included. Goodbye Big Island and Aloha Waikiki Beach! 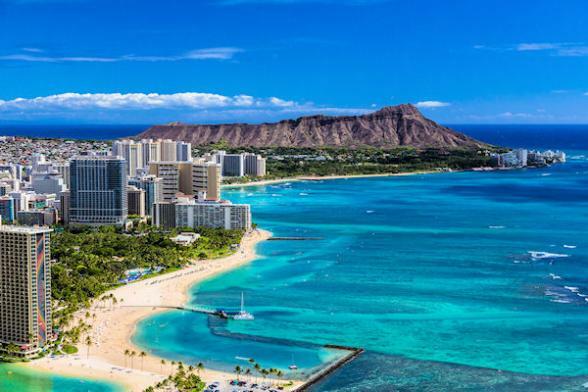 The final island on your Hawaii adventure is Oahu, home of world famous Waikiki Beach and the birthplace of surfing. In complete contrast to the other islands, Waikiki Beach is a busy, bustling place. But don't let this put you off....it's fun, friendly and full of things to see and do. Your Oahu home for the next three nights is right on the powder-white sands of Waikiki Beach, overlooking Diamond Head. Unpack, relax and head for the beach. 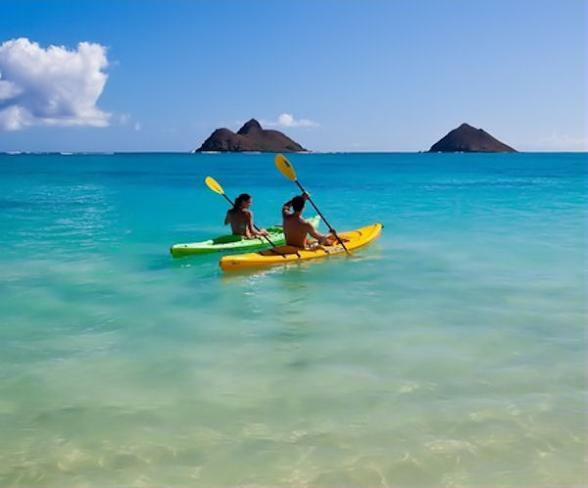 Watch the outrigger canoes slice through the crystal clear ocean while tourists try their hand at surfing! Early evening hop on a catamaran and watch the fiery Hawaiian sunset from the water. 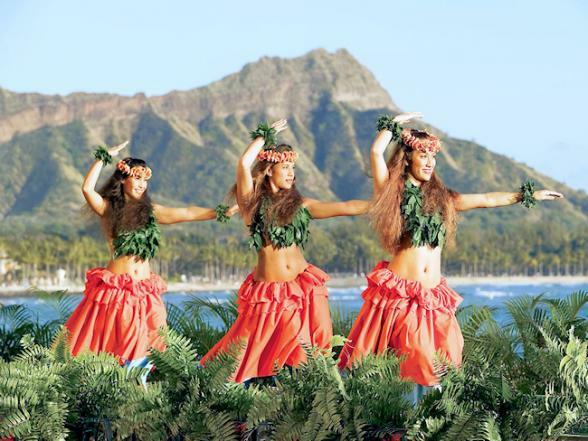 Rise early and watch the hula dancers sway gently on Waikiki Beach as the strums of slack guitar float through the air. 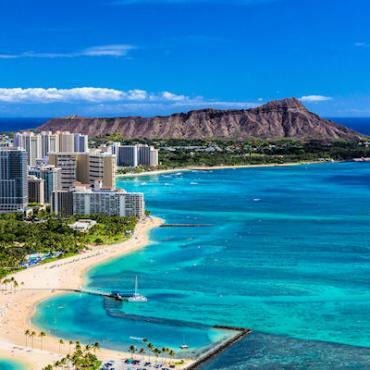 Then it's time to explore with a guided tour of Oahu including Pearl Harbour, the Dole Pineapple Plantation and the legendary surfing beaches of the lush North Shore, famous for those 20 foot waves. 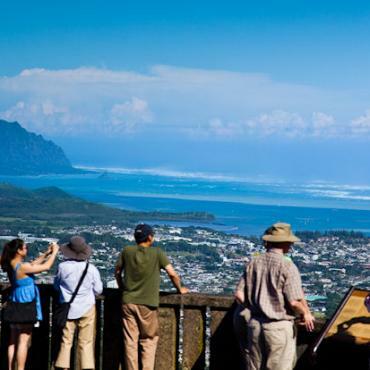 One of the highlights will be Nu'uana Pali Lookout, 12,000 feet above sea level. In 1795 this was the site of one of the most significant battles in Hawaiian history. 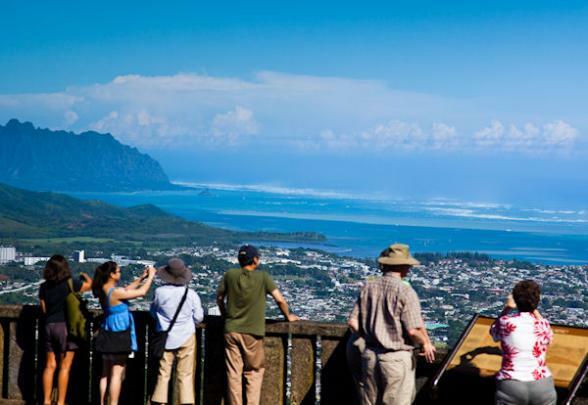 From the cliff positions, enjoy the panoramic views over the Windward side of the island. Arrive back to Waikiki Beach early evening. Unlike the other Hawaiian islands, Oahu, has a very good public transport system. Buses are frequent and inexpensive, so get our there and explore. Feel like stretching the legs? At Diamond Head, you can hike to the rim of this extinct volcano and enjoy terrific views over Waikiki. 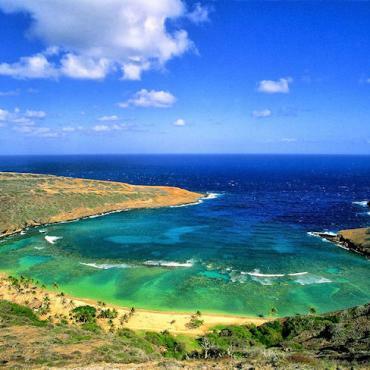 Alternatively, head for Hanauma Bay Nature Preserve, one of only three underwater national parks in the USA. Set within a volcanic crater, the snorkelling is incredible and you only need wade out a few feet to experience it. So, how do you spend your last day in paradise? That is entirely up to you. Do absolutely nothing but soak up vitamin D and watch the surfers go by. OR, get out there and explore one last time. The list of attraction options is plentiful and your Bon Voyage consultant will help make the most of your precious time in paradise. Sadly, it's time to leave the Hawaiian Islands and head back to the UK. However, your adventure doesn't have to end here. Perhaps you may wish to extend your stay and spend some time in Los Angeles or San Francisco before heading back home. Call the USA specialists at Bon Voyage to discuss your perfect Hawaiian Tropical Treats - Four Island Medley.